Right now at Spoonflower Headquarters, spring has sprung. Everywhere you look a new flower is blooming and trees are filling back up with leaves we’ll need for shade once our steamy North Carolina summer hits. Everything is fresh and beautiful and it reminds us in the most magnanimous way why we have dedicated ourselves to protecting our environment and being a sustainable company. 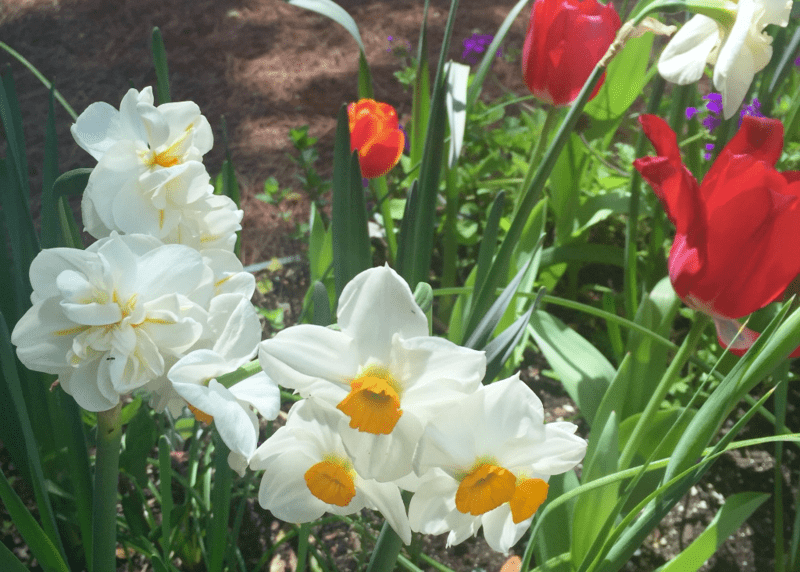 Beautiful spring flowers fill the Spoonflower garden until it is time to plant vegetables! 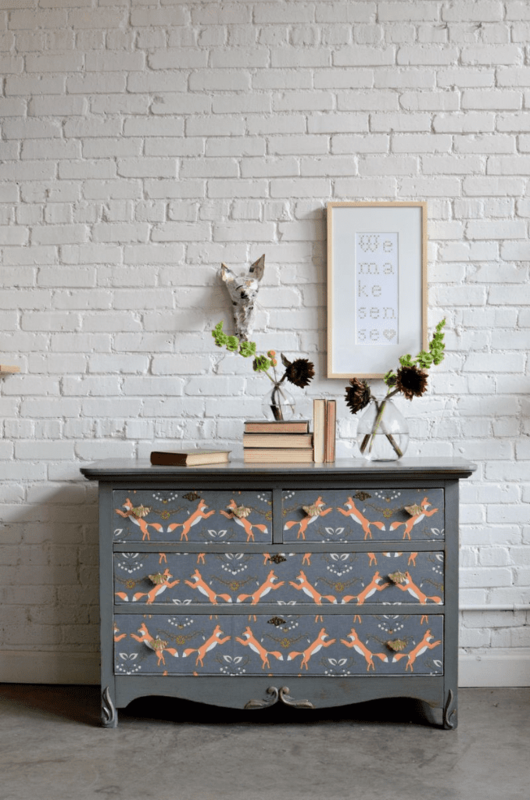 [Read more…] about 5 Upcycled Furniture Projects to Help You Go Green This Month! 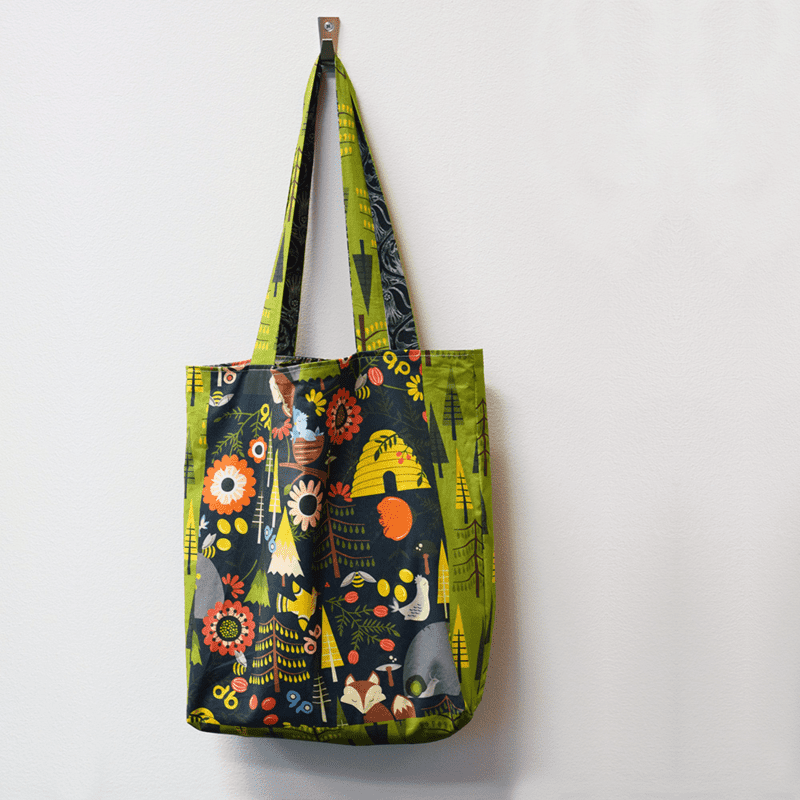 When choosing a new sewing project or simply packing your lunch for work, do you ever stop and think about the impact you’re making on the environment? Spoonflower strives to ensure that our fabrics are good for you and good for the earth, and over the past year, we put lots of new efforts into making our workplace event more sustainable. With January coming to an end, we look back on what we've accomplished through our employee-led sustainability committee as we look forward to advancing our mission to lessen our environmental impact in the new year. Earlier this year, Spoonflower team member Meredith showcased one of Spoonflower’s newest employee crafted initiatives: Blankets for Good. 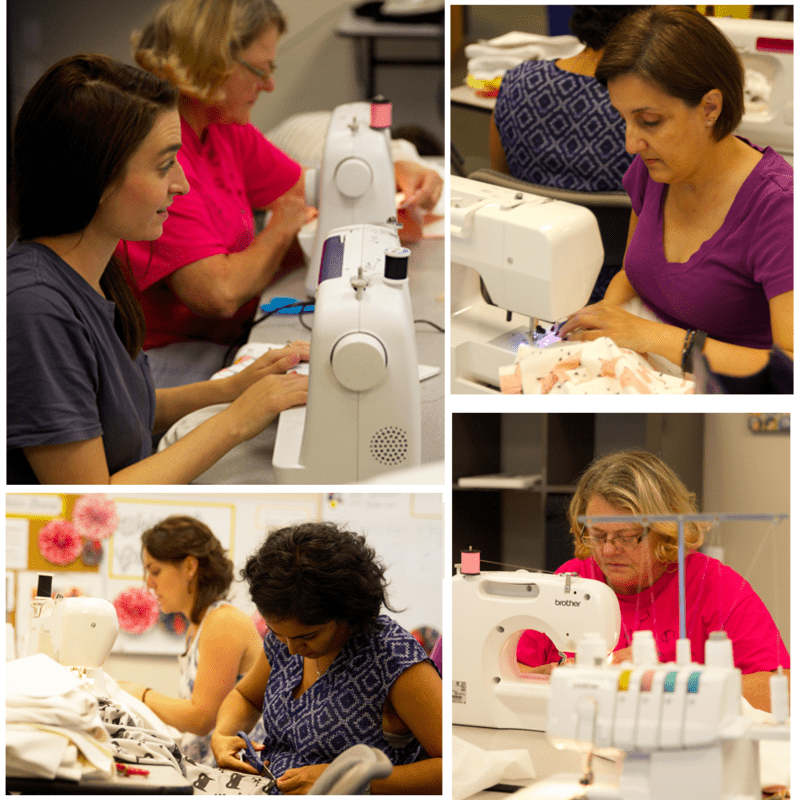 This quarterly employee sew-in uses returned marketplace fabric (don't worry, we will never use your private fabrics!) to make blankets for those in need. 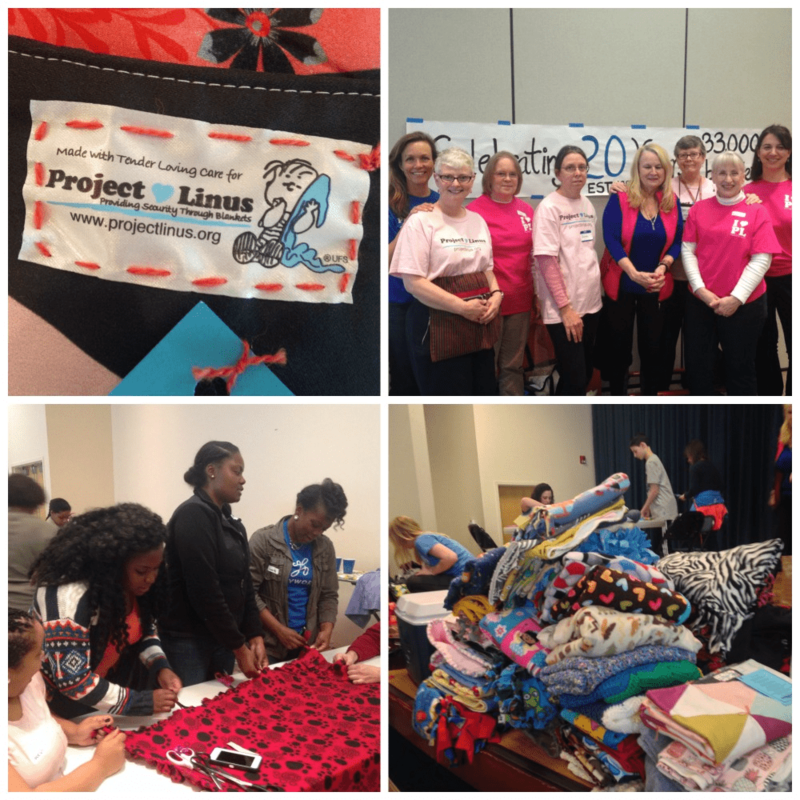 In 2015, we sewed over 70 blankets, preventing over 140 yards of remnant fabric going to a landfill. That’s enough to cover almost half of the eiffel tower! Make Your Own Draft Snake with Etsy! The temperatures are officially dropping here at Spoonflower HQ in Durham! Which naturally means our heating bills are headed straight through the roof. In our constant effort to be a more eco-conscious and sustainable business, we’ve had our eyes out for simple DIY projects to help us reduce our energy dependence and stay warm all at the same time. When our friends at Etsy told us about the adorable draft snakes their employees are making for a sustainable sew-in, we knew it was right up our alley! 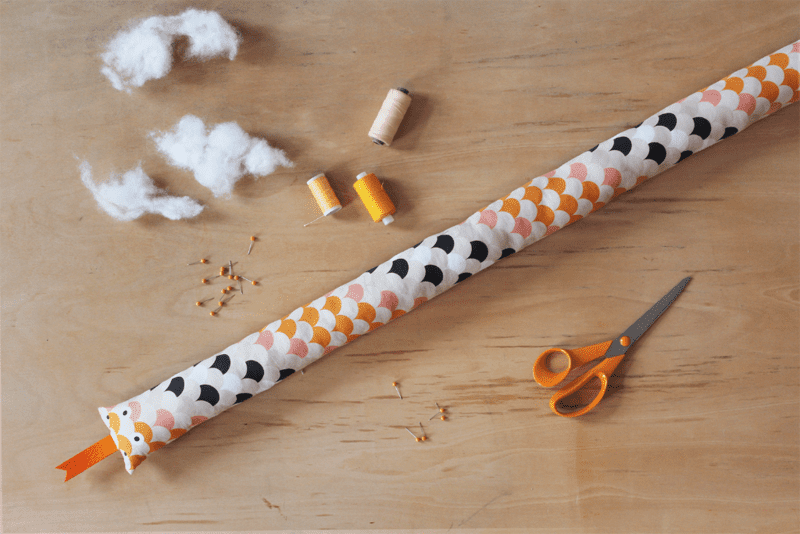 We are so excited to welcome Lizzie from the Etsy team to the blog today to walk us through how to sew up a quick and easy draft snake. Order your own cut-and-sew template featuring Etsy’s unique designs and join us for the most adorable eco-friendly DIY ever! 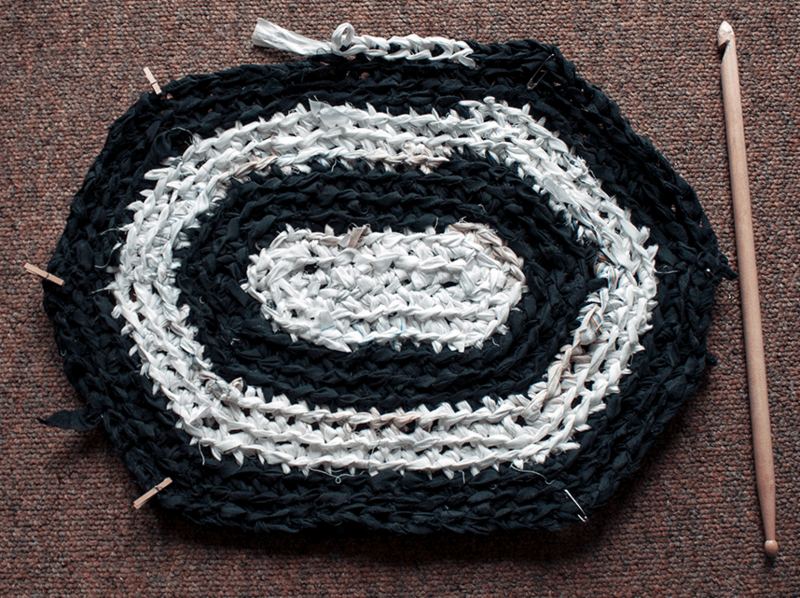 [Read more…] about Make Your Own Draft Snake with Etsy! 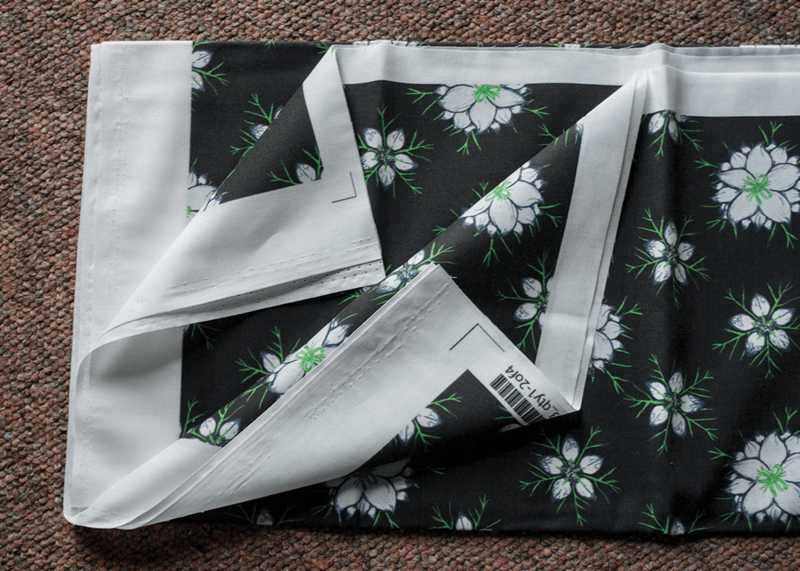 Ready to set the table with stylish and sustainable dinner napkins? Here at Spoonflower HQ, we make every effort to be an eco-friendly company with sustainability as a top priority. 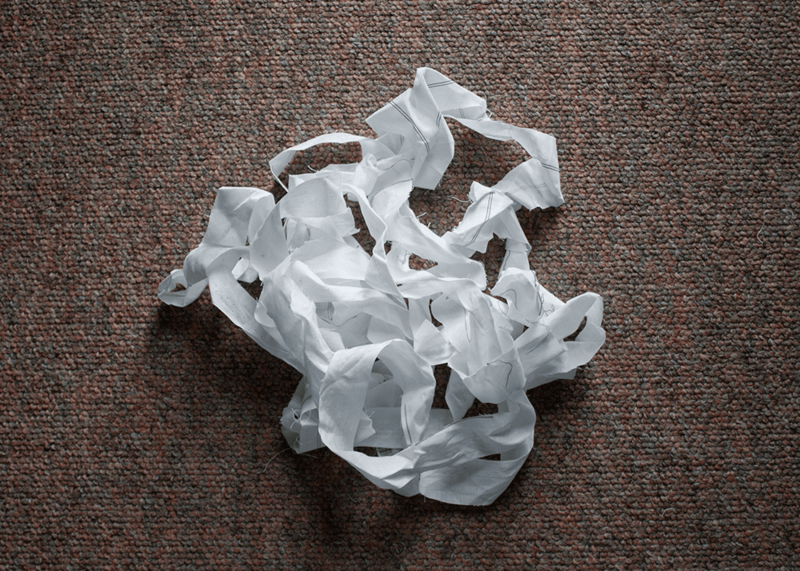 In order to live that “reduce, reuse, recycle” life, we try to cut down on waste and limit what goes into our landfills. We compost and recycle everything possible–perhaps the most beautiful sustainability effort–we use cloth napkins! Want to embrace a more sustainable lifestyle? 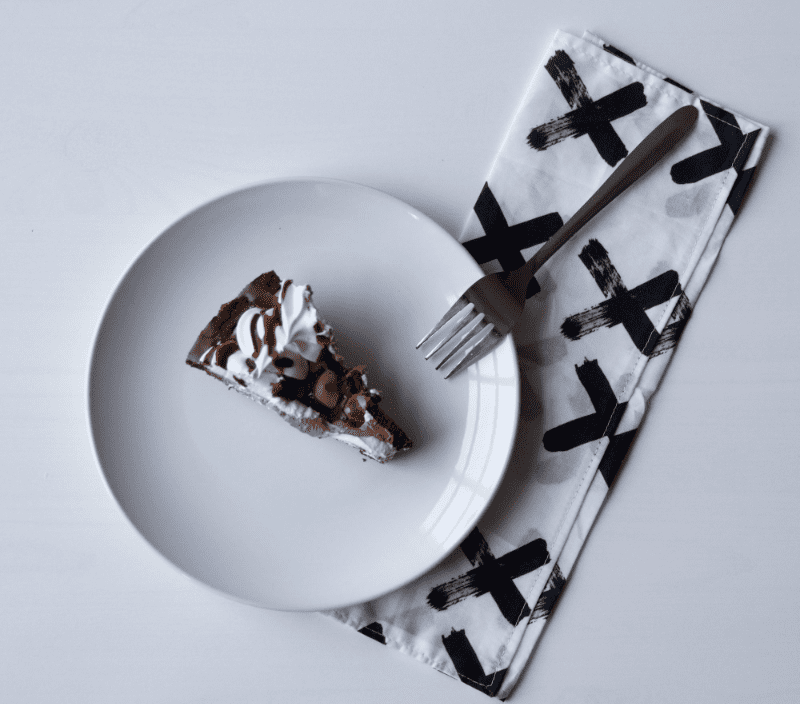 Spoonflower crew member Crystal shares two easy ways to create your own finished cloth napkins–mitered corners and pillow case style–for a quick and easy DIY way to start reducing your carbon footprint. For the Love of Make it Monday! Ever feel like you’re doing more pinning than doing? Does your stash keep growing along with your to-make list, but you seem to add more items before you can check anything off? Well, so do we! So we are oh so excited to introduce a new feature on the blog, Make it Monday! Ta-da! In this series, we’ll kick off the week with a quick and easy project that we’re hoping to make by the end of the week, and we so hope that you will join along! Each Monday, check out our blog for a quick and easy project that can be completed in very little time. During the week, just sneak in a step or stitch here and there, sharing your progress with the hashtag #makeitmonday on your social media platform of choice. We’ll share what you’re making as we go, rounding up our favorite shares on the weekend! Our sincere hope is that this will help us all create, contribute and share bite-sized crafts with each other and the world! Mollie Makes spreads the word about the #fortheloveof campaign in their lovely current issue. 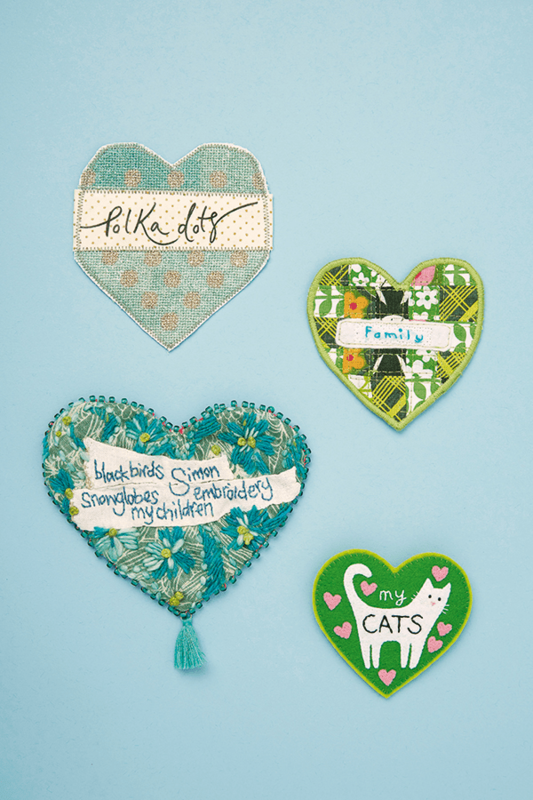 To kick off the series, we’re making little green hearts to wear on our sleeves for The Climate Coalition’s #fortheloveof campaign, which we read about the latest issue of Mollie Makes! The Climate Coalition is a UK-based organization dedicated to limiting the impact of global climate change. The For the Love Of campaign invites individuals to share what matters to them in uniting for action to protect what we love from the damaging effects of climate change. This week, let’s join our friends at Mollie Makes and Craftivist Collective and share what matters to us! [Read more…] about For the Love of Make it Monday!